Conscious Courses is our affordable metaphysical and spiritual diploma range for people who don’t want to follow a formal course but who want to show their expertise by writing about it. You know what you do and believe. You know why. Now explain it to us in writing. See our Conscious Courses Intro Page for general info and list of topics. This Diploma is by independent distance learning (home study). No textbooks or course materials are supplied. The course will be completed by writing a comprehensive essay based on your previous knowledge. The course is offered without tutor support. The Diploma is suitable for people with relevant knowledge seeking a qualification which can be gained through demonstrating their knowledge by writing an essay or mini-project. The essay can be on any system of metaphysical (in the spiritual sense), esoteric, New Thought or New Age philosophy, whether based upon study of published works or the result of your own spiritual development. You may select your own essay title to fit your theme. What is metaphysics? In academic philosophy, metaphysics refers to the branch of philosophy that studies the essence of things or abstract concepts such as being, knowing, identity, time, and space. In the US (and increasingly elsewhere), metaphysics is also the word for a type of spirituality that has many branches and schools but is influenced by the New Thought and New Age movements as well as different systems of personal growth. This Diploma concerns the spiritual metaphysical movement. We are not aligned to any particular “school” of metaphysics and encourage you to develop your own eclectic ideas. In January 2018 we conducted a thorough revision of the Conscious Courses range of diplomas. In view of the very high standard of essays we received, we know that our students are genuine and competent and well deserve this chance to obtain a self-study qualification. 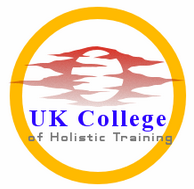 We are therefore setting a new target of a 3,500-word essay which is based on the average minimum number of words required for completing a shorter textbook-based course at UK College of Holistic Training. You may select your own essay title to fit your theme. What is the origin of your system of metaphysical philosophy, or how did it develop? Who are its main sources? What are its main ideas? How we can develop spiritually? Does reincarnation exist, and is it necessary? How has knowledge of metaphysics helped you in your daily life? How has knowledge of metaphysics helped you in your spiritual life? The essay may be based on channelled, inspirational or researched material – please give appropriate references wherever possible, and indicate where the views given are your own and where they are drawn from other sources. You will retain copyright of your work. As an alternative to an essay you may do a mini-project, which could be, for example, an account of your development within a particular metaphysical path, or an account of your experiences with particular spiritual exercises, etc. Some background explanation of the path and its philosophy, with references, should be included. You can apply at any time. Some students will want to apply before commencing their work on the essay because having subscribed to the course will help to motivate them to complete it. Others may wish to wait until they have done the essay and then apply, sending the essay at the same time by email. Choose the method that works best for you, though enrolling for your course first will enable us to send you some helpful information that will increase your chances of passing the course. Most people will be able to complete an essay within a few weeks. Useful essay writing and study skills links can be found in our links page. A printed diploma will be supplied to successful graduates of the course and will be sent by post. The price for UK students includes postage. Extra postage is charged for overseas destinations. The certificate will bear the main logo of Conscious Courses and also be inscribed with the details of UK College of Holistic Training. If the graduate wishes to join a professional association, suitable associations in the UK and overseas can be recommended if applicable. There will be no extra fee for assessment and issue of the certificate. To apply/pay for the course please download our application form. Churton, Tobias. Gnostic Philosophy. Inner Traditions, 2005. Hall, Manley Palmer. The Secret Teachings of All Ages. Ancient Wisdom Publications, 2005. (Various other editions available including Kindle edition). Hay, Louise L. You Can Heal Your Life. Hay House, 2004. Kemp, Daren. New Age: A Guide. Edinburgh University Press, 2004. McTaggart, Lynne. The Field. Element, 2001. Roberts, Jane. Seth Speaks. New World Library, 1972, 1994. Tyler, Paula J. New Age Metaphysics. Eureka Springs, Arkansas: Metaphysical Enterprises, 1987.